What is a Clover mite and what does it look like? Clover mites (or dust mites) are not possible to see with the naked eye. In order to see them, magnifying equipment is needed. They feed on dead skin shed by humans, and this is why they are often found infesting beds, carpets, mats or couches, as well as other home environments. What are the signs of a clover mites infestation? Mites are impossible to see; their eggs and droppings are also invisible to the naked eye. Therefore, the only way to spot signs of a clover mites infestation is to detect symptoms that directly affect people. Clover mites are known to cause a wide variety of reactions, ranging from mild irritation to extreme asthma attacks. Clover mite infestations can cause sneezing, runny nose, itchy eyes and skin rashes, among other physical manifestations. Some people may experience allergic reactions and skin eczema as well. Are clover mites dangerous? Do clover mites bite? Clover mites do not bite, but their droppings can trigger allergic reactions and respiratory ailments. 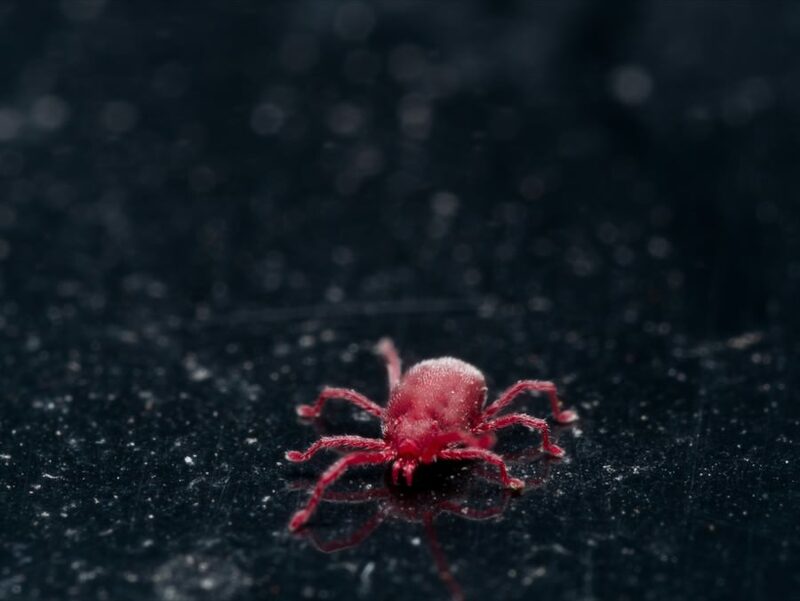 Even when a person does not normally suffer from such issues, being exposed to a mite infestation could become a triggering cause for such health concerns. Some studies have shown that over 50 percent of asthmatics throughout the world can associate their asthma symptoms to dust mites.